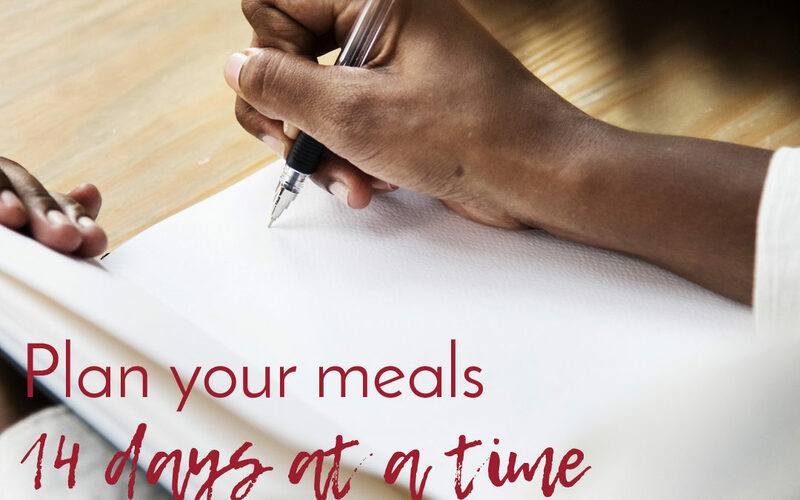 Make a bunch of decisions today and just execute for the next two weeks: that’s what this 14-day vegan meal plan template can guide you through. 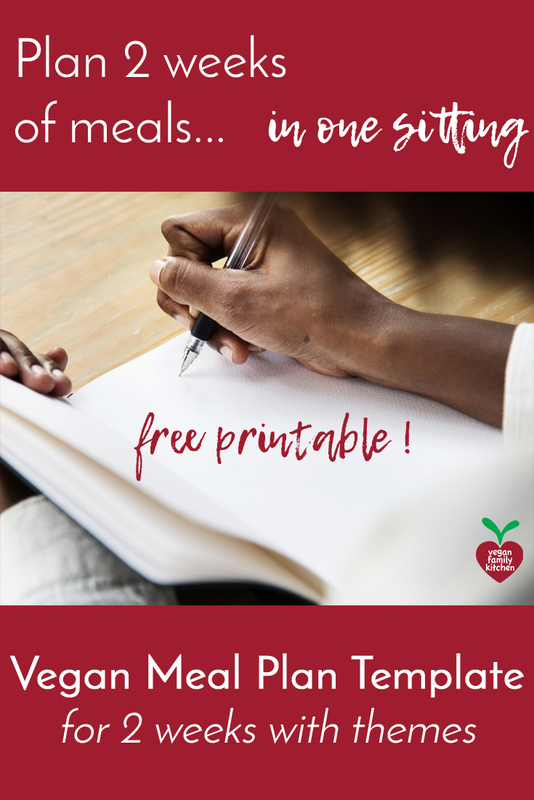 This meal plan template is a little different from the previous versions, and perhaps will work best for cooks with an intermediate level of cooking knowledge and skills (or more). 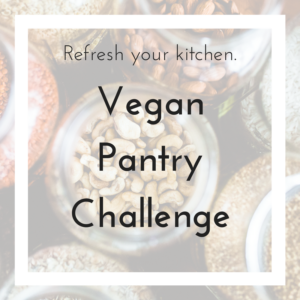 There are themes for every day, and ingredient categories (grains, veggies, extra protein…), but no specific ingredients are suggested. 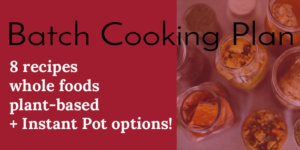 Use what you already have in the fridge, and of course what is seasonal in your area! (Pro tip: search for something like “harvest calendar yourstate”, without the quotation marks, in your favorite search engine.) That way, you will get the most nutrition, and lower your environmental footprint all at once. 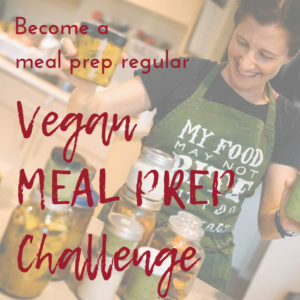 There are boxes to plan your advance prep session at the top (also use our Prep Session Blueprint for guidance) but no inventory or grocery list. You will need to jot those down, using the back of the planner if you like. PRO TIP: Snap a picture of the filled planner when you are done, for quick reference at the grocery store or farmers’ market, or for backup purposes, especially if you have children who love to play with water in the kitchen.